The Rebel Sweetheart. : A Quick Guide to Stress-Free Holiday Shopping. I don't know about you, but I'm already starting my holiday shopping - especially now that Christmas is just 99 days away. I try to keep this task of picking out presents as fun as possible and avoid long queues and last-minute panic buying as much as I can - which is why I try to get things done even before malls and shopping centers could even put up their Christmas decors. And because I'm in a festive and giving mood, I'm sharing with you some tips on how to make your own shopping experience fun and stress-free - and friendly on the pocket, too. 1. Make a list, check it twice. Write down the names of people you are planning to buy gifts for. List down the things you plan to give, along with the price of the items you are planning to buy. Also include in the list the people who will receive cash gifts such as your godchildren, employees, the trash collector, etc. Doing so will help you manage your budget for the holidays. Not sure whether you'll buy a Samsung Galaxy S4 or the Galaxy Note3 for your husband? 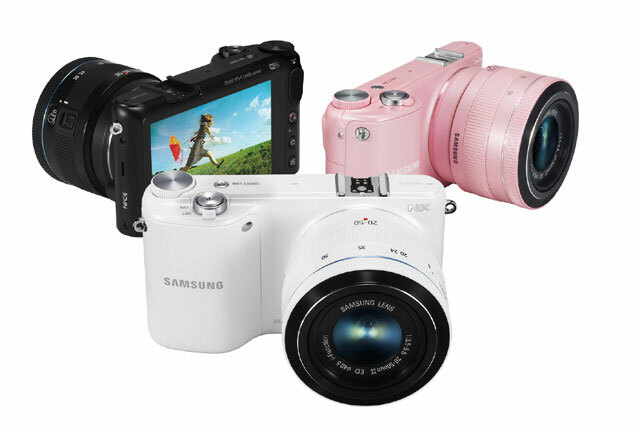 Can't decide between an NX2000 or NX3000 for yourself? That's easy. Simply Google for product information and customer reviews to help you decide which item/s to buy. Who knows, you might also be able to stumble upon a great deal on online stores and group buying sites. You need not wait for the 'ber months to kick off before you buy Christmas gifts. You can actually start your Christmas shopping way ahead, any time of the year. Just make sure you keep track of the gifts that you've bought, and keep them hidden so as not to spoil the surprise! 4. Take advantage of sale events. Black Friday, Cyber Monday, end-of-season sales, clearance sales... Take advantage of events like these as merchants usually offer huge discounts on almost all of their products. Online shopping sites such as Zalora PH usually give their loyal customers first dibs on discounts and promos, so make sure you stay in the loop and sign up for newsletters and SMS notifications. No time to go the mall? Too busy to go to bazaars? Or you simply don't want to battle large crowds and long queues? Then online shopping is your best bet. Thanks to modern technology, you can now do your Christmas shopping without having to leave home or play hooky from work. Some online stores even offer free shipping, which allows you to save on handling fees and charges. I guess starting to shop now would save you a lot of time and effort. Now that everyone I have to buy for is over 18 (at least for now) I generally get gift cards or give cash--talk about stress free!! Wow! That's early.. but maybe this is the way to go :) I never have enough time .. Thanks for your tips! We always want to do our shopping early but we never get around to it...maybe this will be our year! “Do you homework” is a good tip, which can save time and money; the more knowledgeable we are the better shopping experience we have especially with tech stuff. I bought some books already for my inaanaks at the book fair last weekend. Super good deal with the activity books. 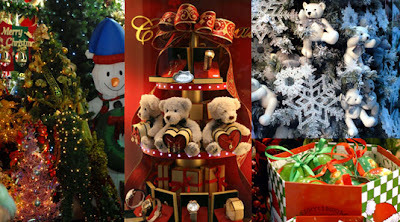 I usually buy gifts also from bazaars and tiangge, I love that it has many choices. I always end shopping a few days before Christmas. Kasi dun lang binibigay ang bonus, hihihi. I am doing my shopping via online this year! Wow, so early but - I do agree as early as now dapat nagaayos na and such hindi un last minute rush. Oh, may pink Samsung Galaxy pala na camera - i should have known so I can have a pink version, lol HAHA! holiday na!! 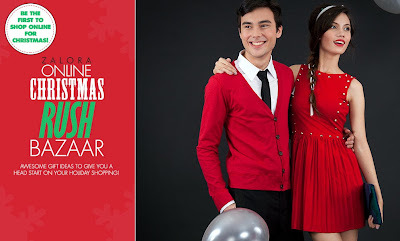 at tama ka masstress na ako sa holiday shopping! thanks sa tips! !